Gerry Ritz's "climate Barbie" comment was Scheer's chance to show he won't tolerate Tory troglodytes. But he didn't. You never achieve great things if you don't take risks. How Conservative Leader Andrew Scheer doesn't understand this is an enduring mystery. He never misses an opportunity to miss an opportunity, per the cliché. Take (please) Conservative MP Gerry Ritz. Last week, Gerry — who (a) thinks he is funny and (b) has unfettered access to a Twitter account — tweeted that Environment Minister Catherine McKenna was "climate Barbie," quote unquote. That she isn't was obvious. That folks would consider that sexist and inappropriate was obvious. That Ritz was acting like a misogynist — also obvious. Gerry is (blessedly) soon to be departing the federal scene. So long, don't let the wooley mammoth skin hit you on the way out, big guy. Cro-Magnon eruptions on social media are commonplace, sadly. Even though they cost Alberta's Wildrose a shot at government — and even though the lunatic tweets of Donald Trump will ultimately figure prominently in the indictments he will face — some conservative types still do them. Conservative MP and former Agriculture Minister Gerry Ritz speaks during Question Period in the House of Commons on Parliament Hill in Ottawa on March 3, 2014. So, what Gerry Ritz tweeted wasn't the conservative exception. It appears to be the conservative rule. It shouldn't have shocked anyone. What was surprising, however, was the reaction of Ritz's putative leader, Blandy Scheer. Instead of recognizing that his MP's Barbie bimbo eruption was an opportunity, not a problem — instead of stepping up to a gaggle of microphones and condemning sexism and what Ritz said and giving him the boot — Scheer issued a mealey-mouthed statement and headed for the exits. Politicians, like everyone else, only get one opportunity to make a first impression. Ritz's idiocy was an opportunity for Scheer to show he won't tolerate Tory troglodytes. But he didn't do that. He didn't do the right thing. Nor did he do the right thing when Conservative Senator Lynn Beyak blew off both her feet, a few days earlier. 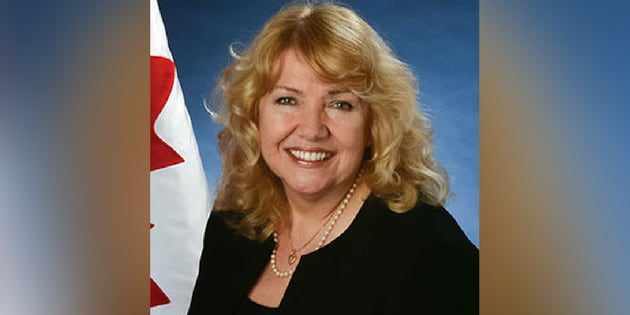 Beyak, also known to be a proud member of the Red Chamber's Caveperson Caucus, has long been known for anti-Indigenous rhetoric. Conservative Leader Andrew Scheer stands during question period in the House of Commons on Parliament Hill in Ottawa on Sept. 19, 2017. Former Tory leader Rona Ambrose had previously kicked Beyak off a committee when the latter paid tribute to Canada's fascistic experiment with residential schools. More recently, Beyak was removed from the Senate's agriculture, transport and defence committees for saying Indigenous people should lose their status — and for opining that Indigenous culture should be promoted only "on their own dime, on their own time." Scheer allowed that Beyak didn't speak for the rest of the Conservative caucus. And one of his senatorial underlings intoned that the party had "concluded our deliberations and the parties have agreed to a set of measures to guide the senator going forward. We consider the matter closed." When they sense that you are a coward, Blandy, they will tune you out, sometimes permanently. Like Ritz, Beyak is still a card-carrying member of Scheer's caucus. And, as with Ritz, the Beyak case reminds everyone that Andrew Scheer may be many things. But a leader is not one of them. Voters — and consumers, and citizens, and every sentient being — are astute. They know when you are playing it safe. They know when you are playing the proverbial ostrich, and waiting for some controversy to blow over. When they sense that you are a coward, Blandy, they will tune you out, sometimes permanently. Or, even worse, they will decide that you have the much-maligned "hidden agenda." And that you are accordingly dishonest. And that you may just agree with Gerry Ritz and Lynn Beyak. Is it a risk to hammer Ritz and Beyak? Perhaps. There is a red-necked constituency out there that agrees with them. It is a constituency that faithfully votes Conservative. They may get mad at you, Blandy, for kicking out Fred and Wilma. It is a risk, perhaps. Sure. And it's a paradox: not taking risks, Blandy, is itself risky. With the Trudeau government being buffeted by the small business tax mess, with their NAFTA strategy clearly at risk of being blown to smithereens by U.S. Unpresident Donald Trump, with Liberal MPs grumbling in the media — with all those things happening, you should be doing a lot better. A lot. Kicking out Gerry Ritz and Lynn Beyak would have been risky, Blandy. It may have an internal challenge. But it was an opportunity, too.